Playing with watercolors again. I know...it's different, but there is just something about it that appeals to me. 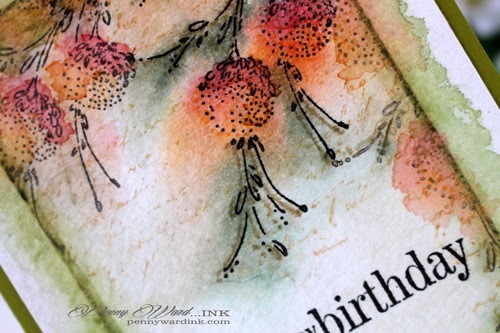 I colored the stamp with Memento markers, misted and stamped it onto misted watercolor paper. You end up with a colorful mess that somewhat resembles the stamp. Wait for the paper to dry...yeah right...warm it up with a heat gun...so much faster. Now stamp the paper again with the same stamp that has been inked with Versafine Onyx Black ink. Love the watercolor look! Beautiful card Penny! Wow... gorgeous! 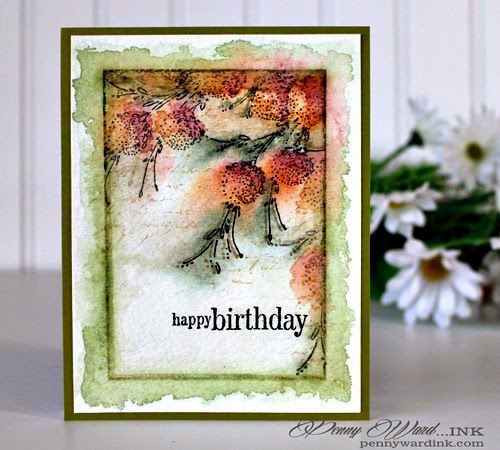 I love watercolor with PB's stamps! Saw this on SCS! Had to take a closer look! Beautiful card. I love your creativity and appreciate your explanation of how you did it. WOW this is absolutely gorgeous! I love your technique. Thank you for sharing how you accomplished this AMAZING look on this card!!! I am so intimidated by watercoloring but maybe I will follow your technique here and give it a shot!!! It looks so gracious and flowing and beautiful!! Have a wonderful day!!! Wow! Beautiful! Thanks for the explanation! I am definitely going to try this!! I'm loving watercolor, too, and this is a beautiful example of how it's done. Fantastic card, Penny. So impressed to see Penny Black spotlight this on their facebook page - Good for you, that is just awesome!!!! oH MY GOODNESS, pENNY! wHAT ABSOLUTELY AMAZING WATERCOLORING! Thanks for joining us at CASology this week! Oh WOW this is truly stunning and gorgeous too. 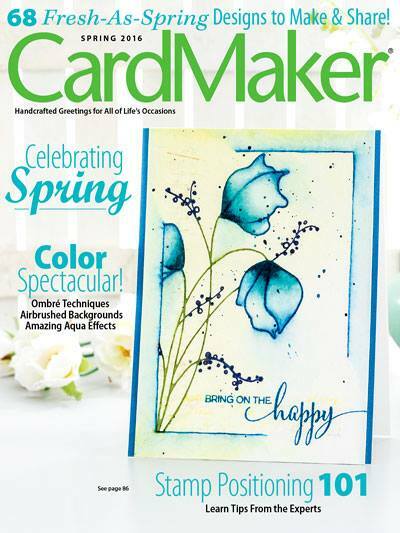 gorgeous card - love the watercolor! Penny, your card is a stunner! Such a gorgeous watercolor technique! Thanks for playing along with CASology this week!